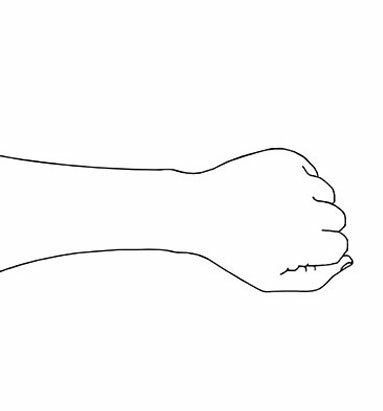 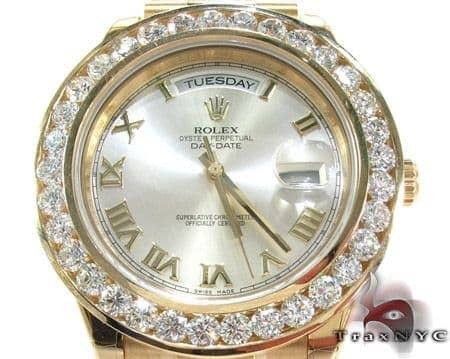 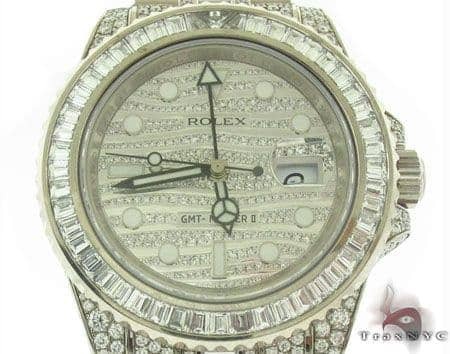 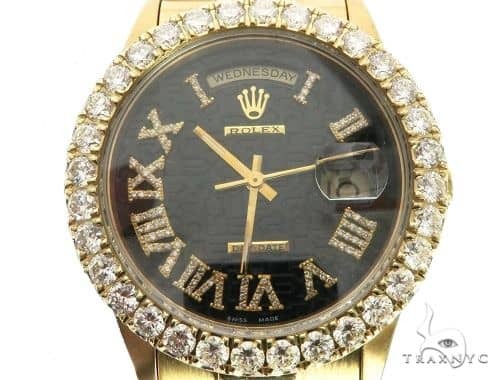 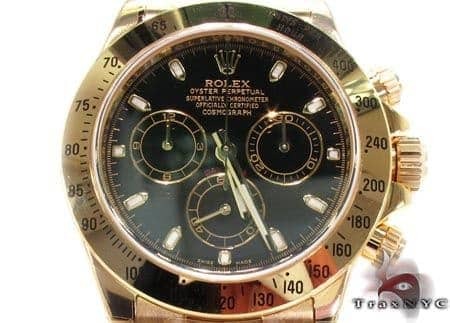 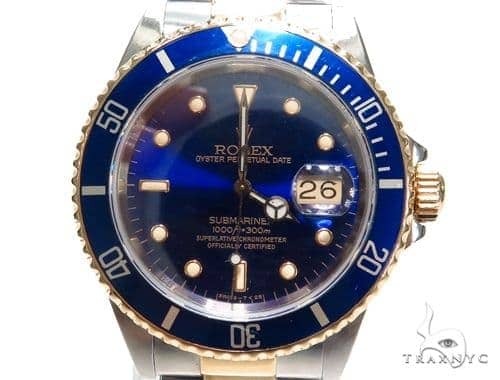 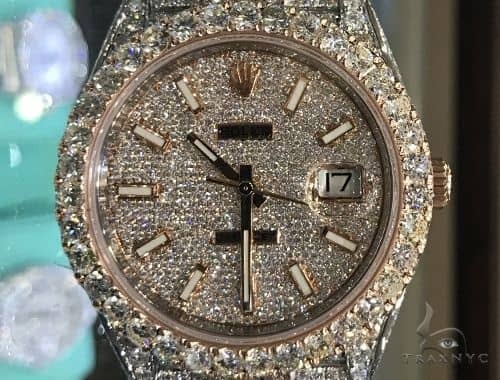 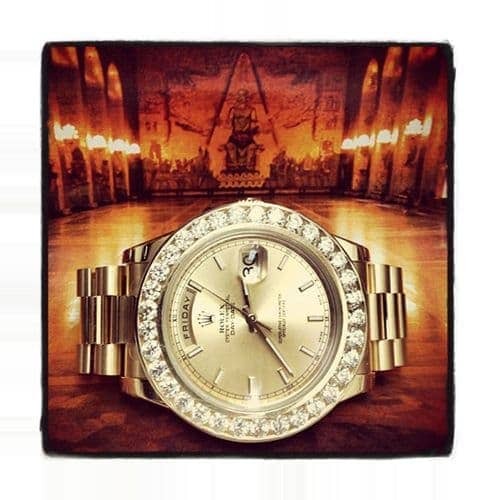 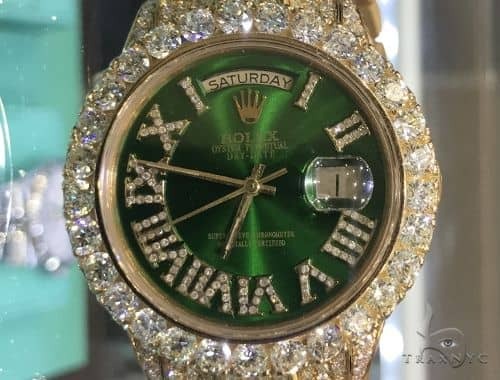 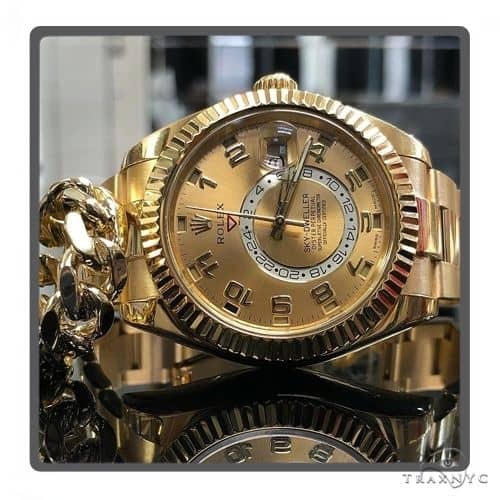 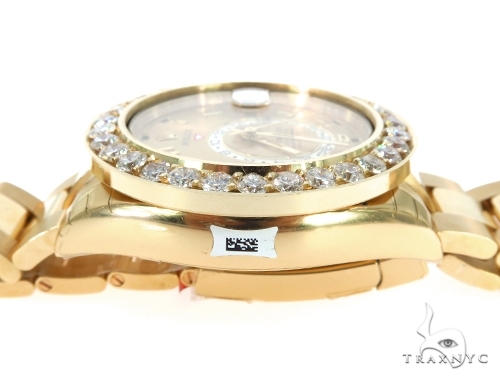 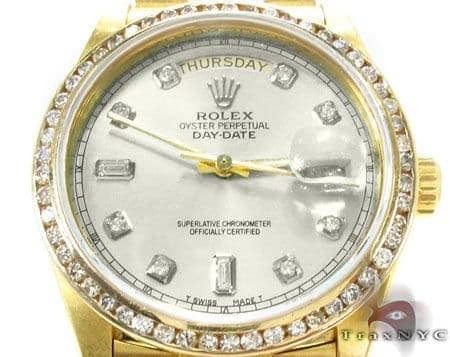 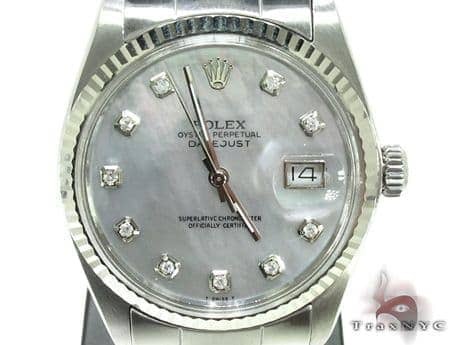 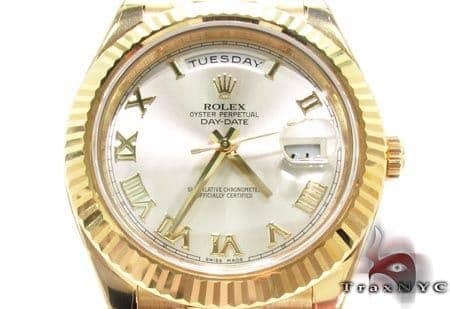 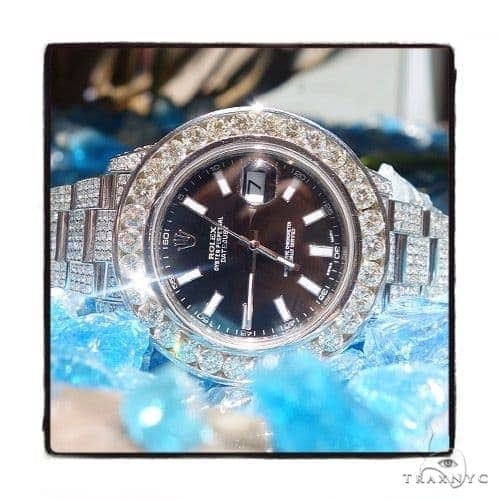 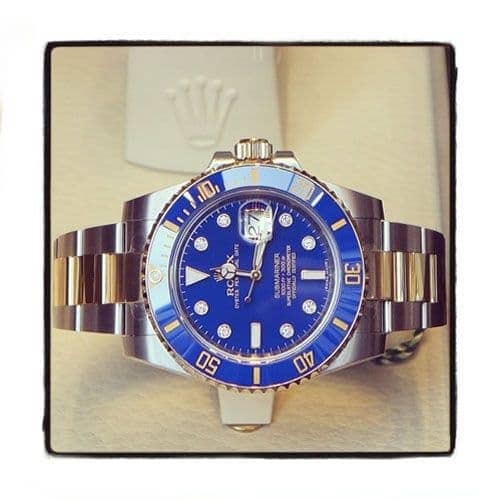 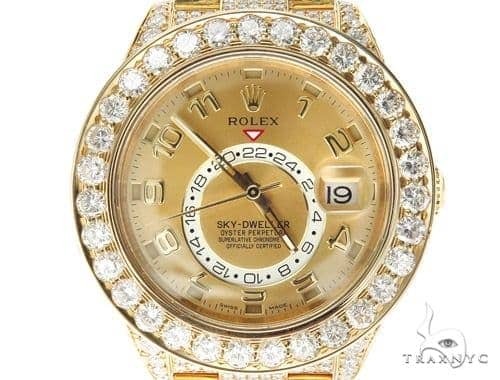 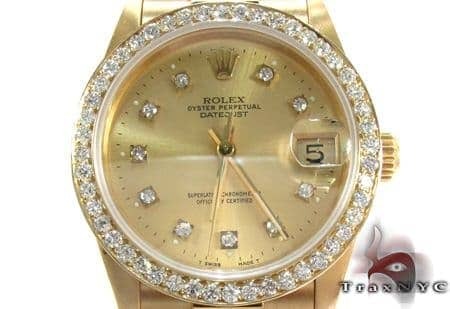 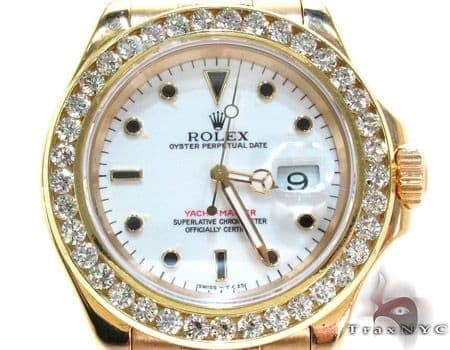 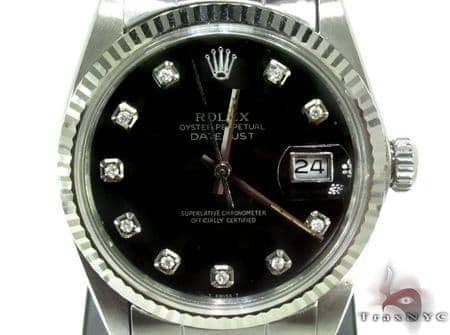 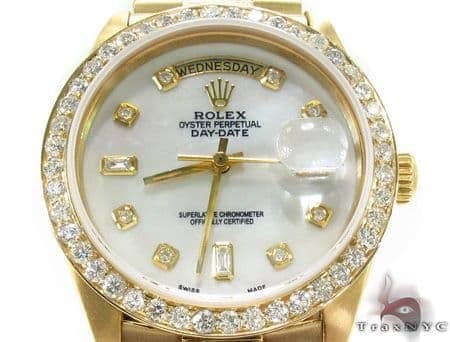 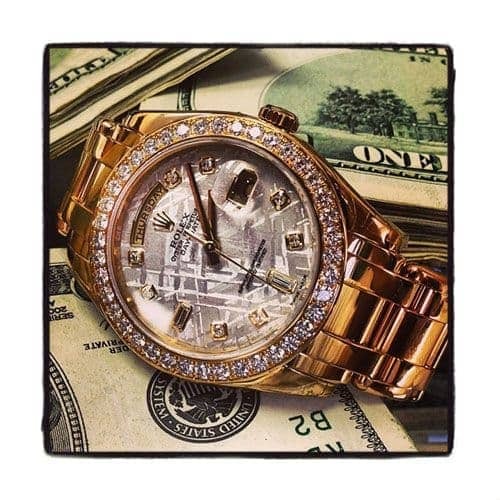 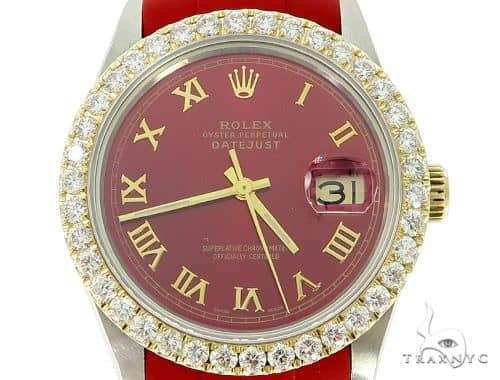 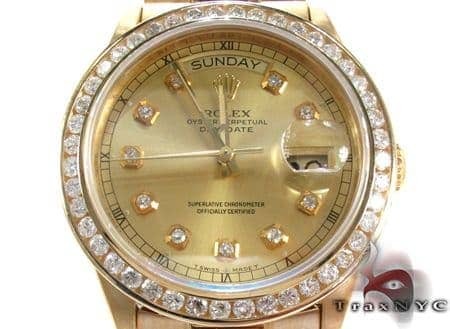 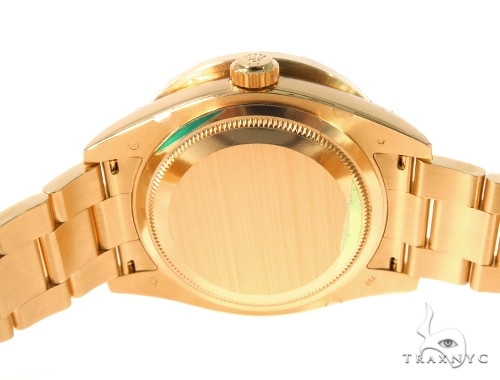 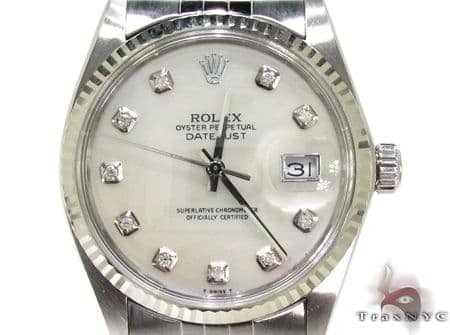 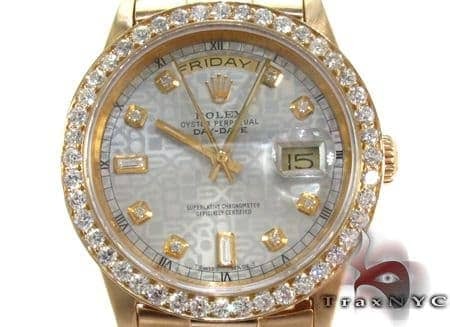 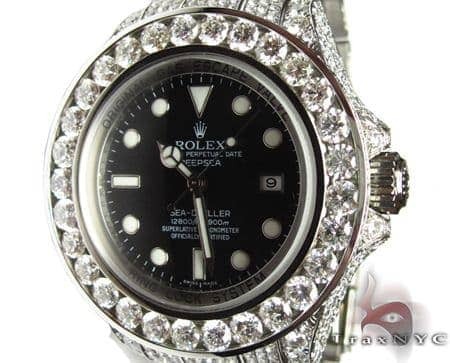 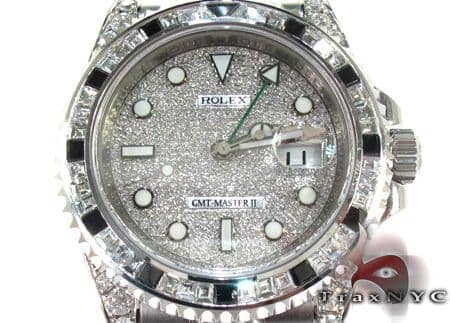 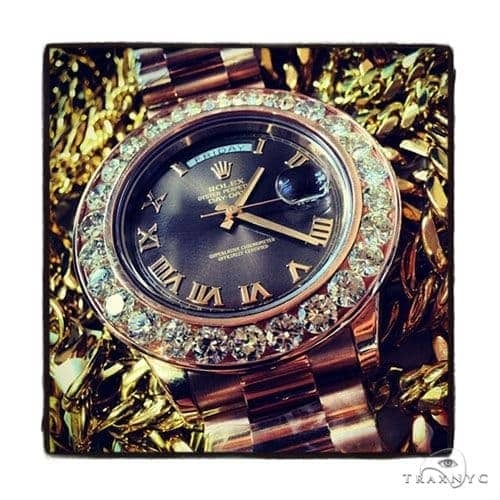 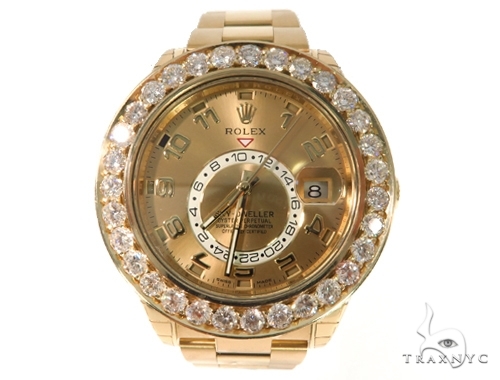 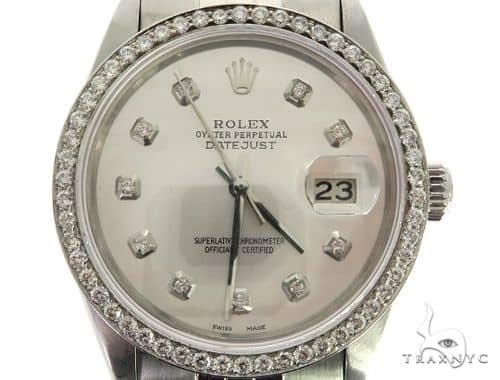 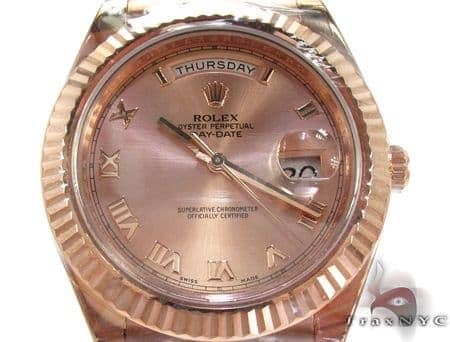 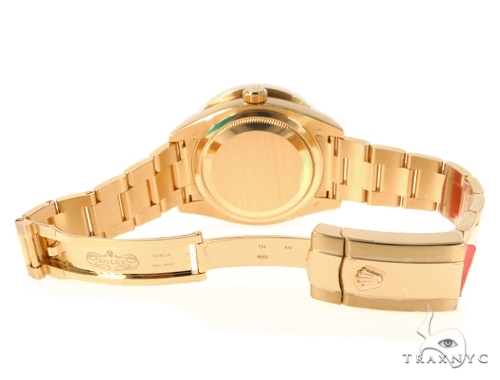 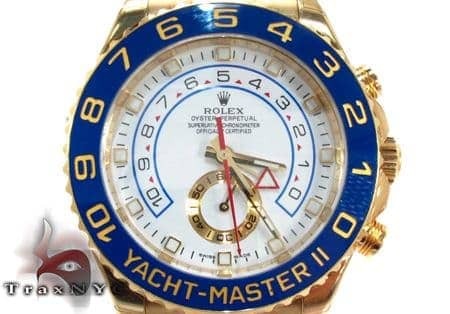 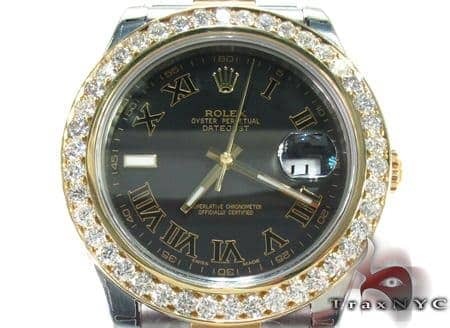 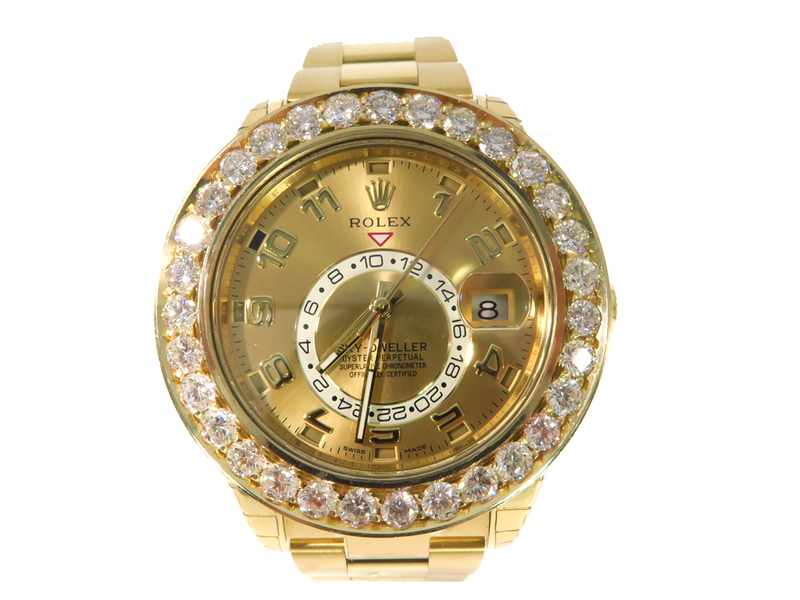 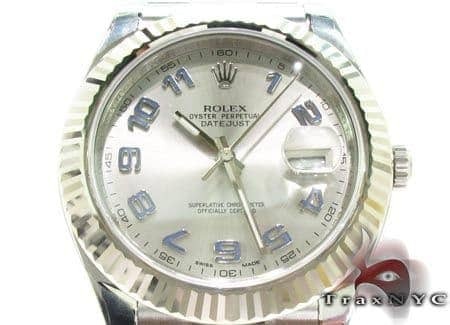 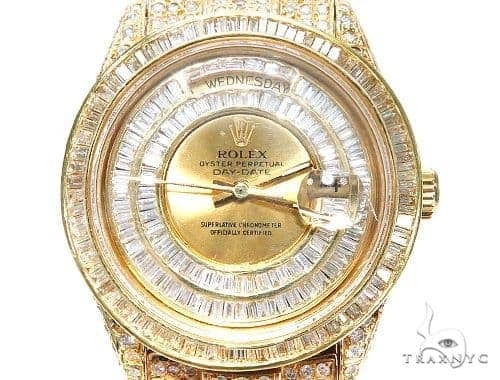 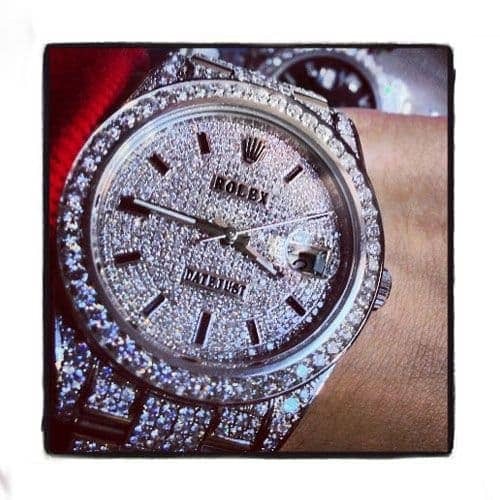 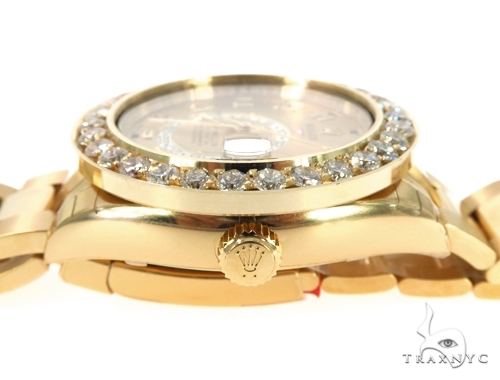 TraxNYC specializes in Diamond Rolex Watch Collection and can create a custom Watch for you using the materials and quality of diamonds of your choice. 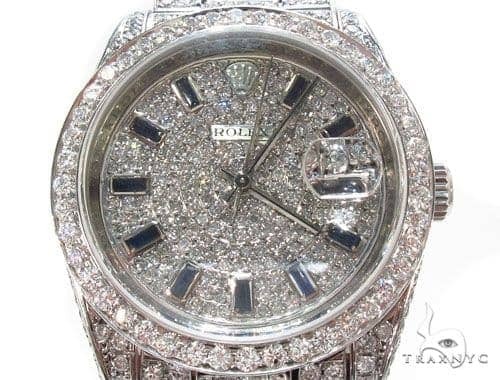 Feel like royalty wearing a custom-made Watch from TraxNYC featuring 7.50 ct of Round cut gorgeous diamonds. 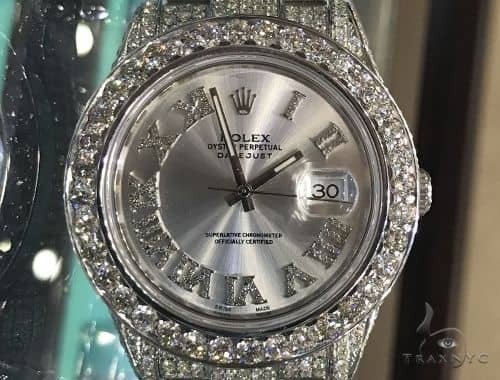 This piece features beautiful Round cut diamonds with a total weight of 7.50 ct , that will make you shine!With a total diamond weight of 7.50 ct, this marvelous item is the right choice to add a touch of glamour to your look.